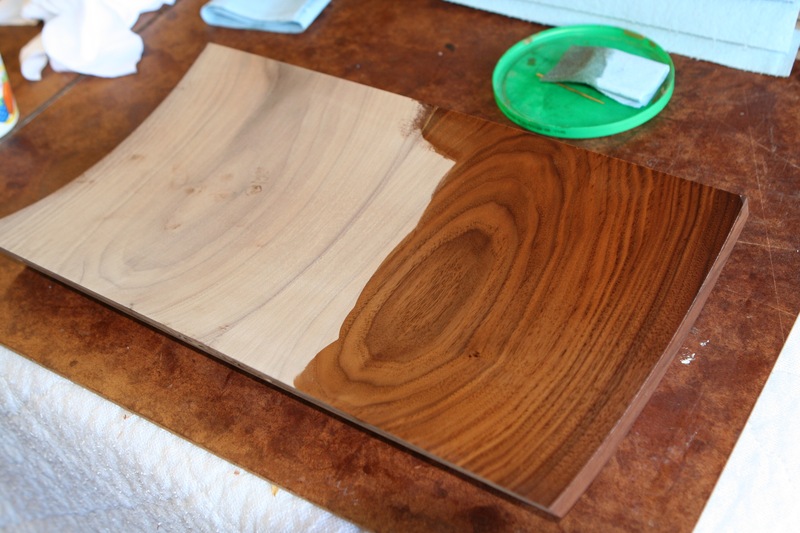 Oil/varnish finish wiped on walnut elements. 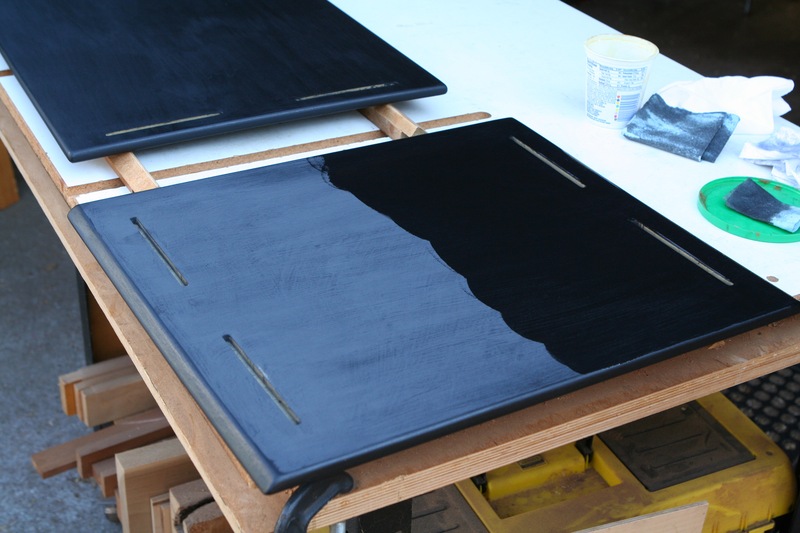 The poplar shelves, spacers and cross support piece received two coats of pitch black milk paint. 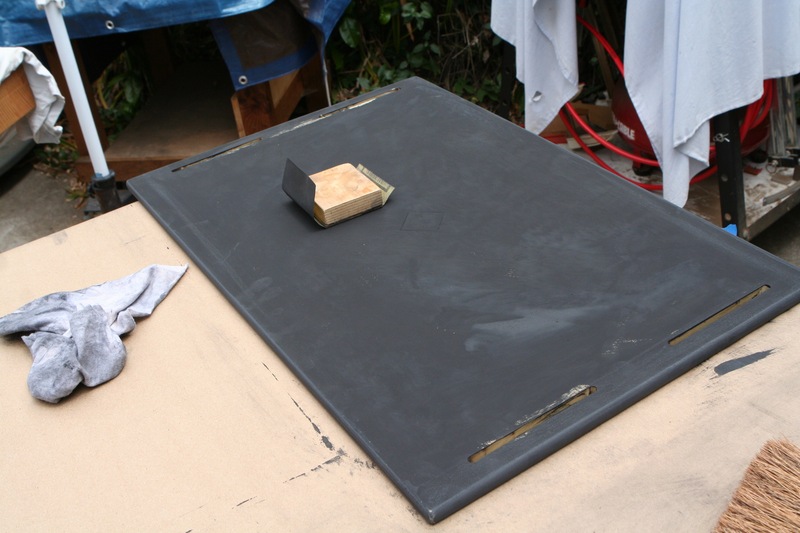 The first coat was thicker than ideal, so it was difficult to obtain nice thin covering. 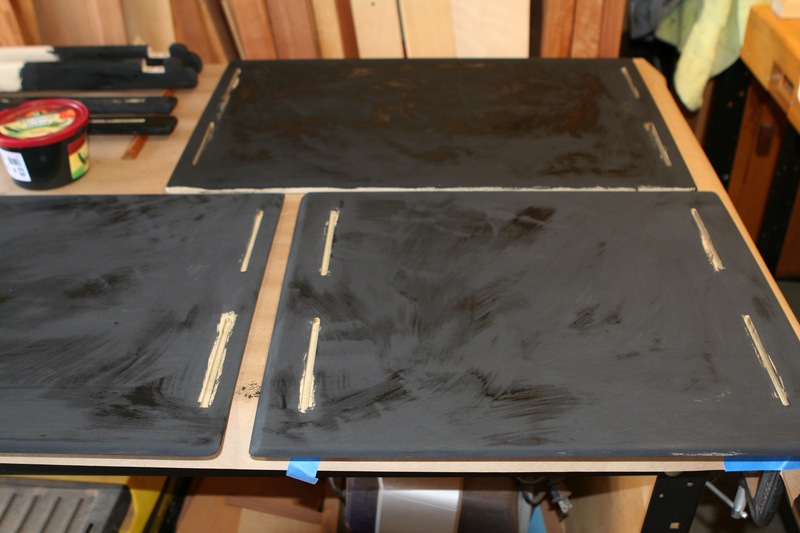 I sanded it down somewhat prior to the second coat, which was thinned with additional water. 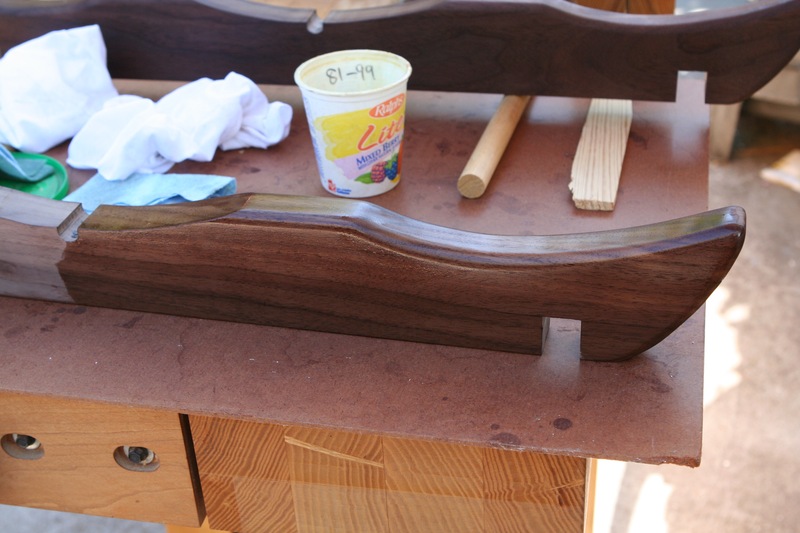 After the second coat of milk paint, those pieces received several oil/varnish top coats to add some sheen and protection. A number of oil/varnish coats were applied with wet sanding to the walnut elements.